From mocktails to delicious coffee creations, open up the NESCAFÉ® Dolce Gusto® recipe book and discover drinks, dishes and delights made using our clever little pods. Whatever your style, make the most of your NESCAFÉ® Dolce Gusto® machine and try one of our recipes today. This one is definitely for tea lovers. Fresh, fruity and fragrant, our Arabian Dream iced tea recipe is best served chilled over ice and finished with a garnish. Delicious. 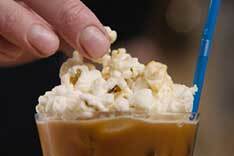 A truly yummy popcorn creation. 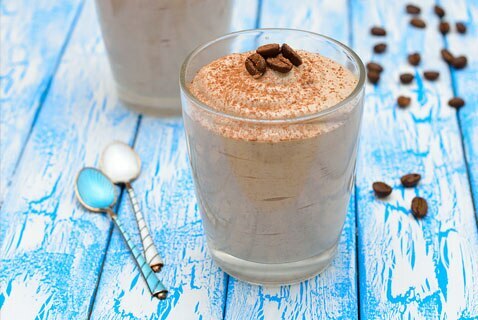 Smooth, creamy and with a hint of espresso, this mocktail recipe is an easy to make treat that’s brilliant as an after dinner dessert or while watching a film. 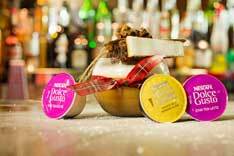 A fun twist for your Chococino or Espresso Caramel pods. 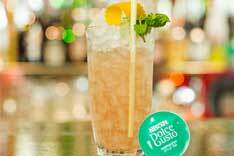 Our Mint Choc-Chip-A-Cino mocktail recipe is a creamy and delicious drink that’s great for parties or simply as a treat for yourself. Spice up your pods with our Warm Mocktail recipe, an aromatic twist to our Chai Tea Latte and Grande Mild pods. Tastiest sprinkled with nutmeg and cinnamon, and served warm. Add a fiery kick to your cappuccino. 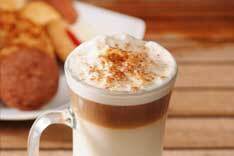 Our Cappuccino Zinger coffee recipe is spicy and aromatic; a delicious way to enjoy your cappuccino. You can use our skinny pod varieties too! Coffee and chocolate…a match made in heaven. 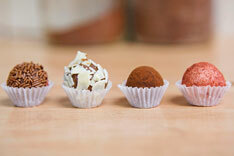 Impress your friends with this yummy truffle recipe, made using our Espresso Intenso pod coffee. 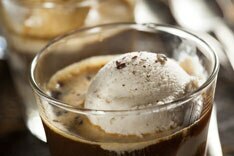 Made with a shot of bold espresso and velvety ice cream, this Italian-style Affogato recipe is quick to make and wonderfully delicious. 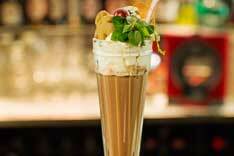 Garnish with chocolate covered coffee beans and serve warm.